Dylusions-Dyan Reaveley's Dylusions Coloring Sheets #3. These sheets are waiting to be brought to life! 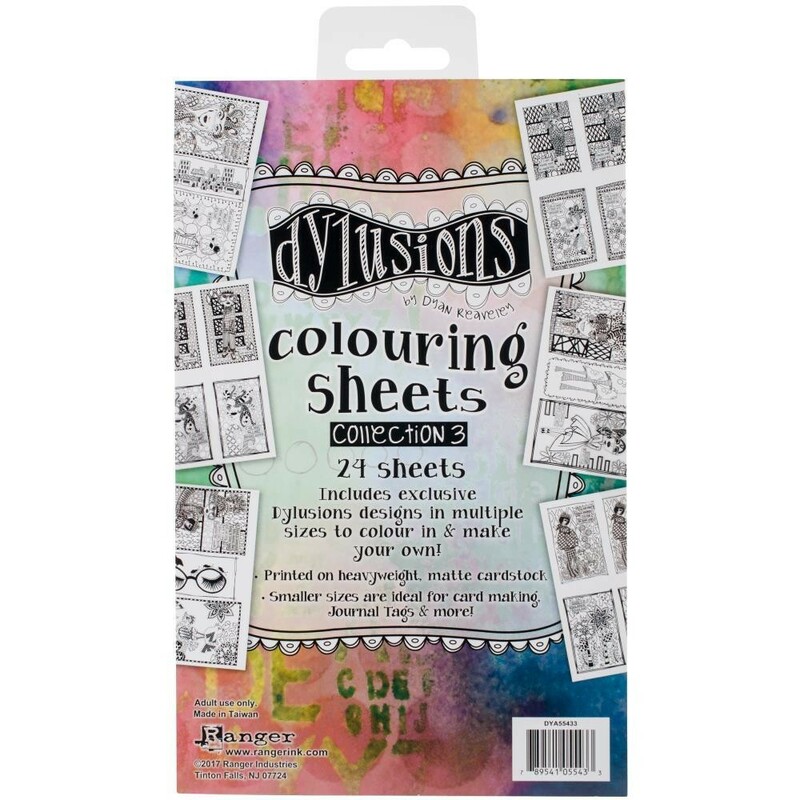 Perfect to color in with your medium of choice, then add to your art journal, cards, or collage projects. This package contains twenty-four 5x8 inch sheets in twelve designs (two of each design).